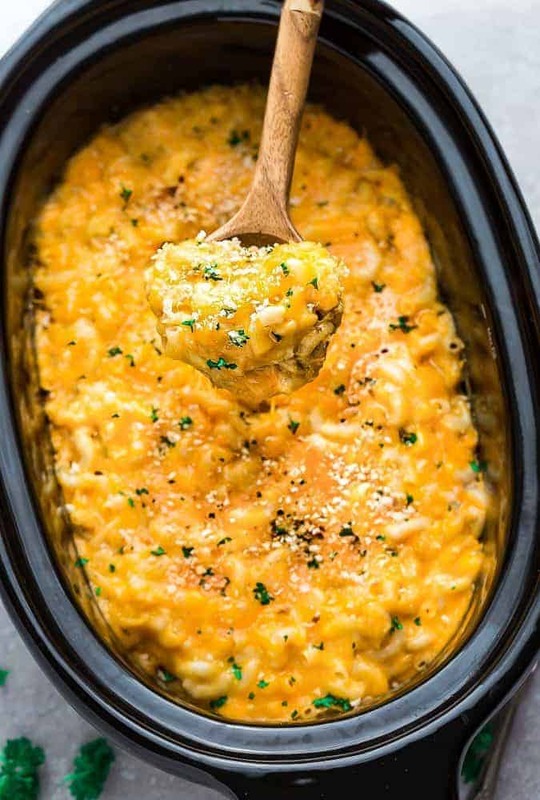 Crock Pot Macaroni and Cheese is creamy, comforting and perfect for potlucks, camping and parties. Best of all, everything comes together in just one pot. No boiling required in this slow cooker recipe — even the pasta! 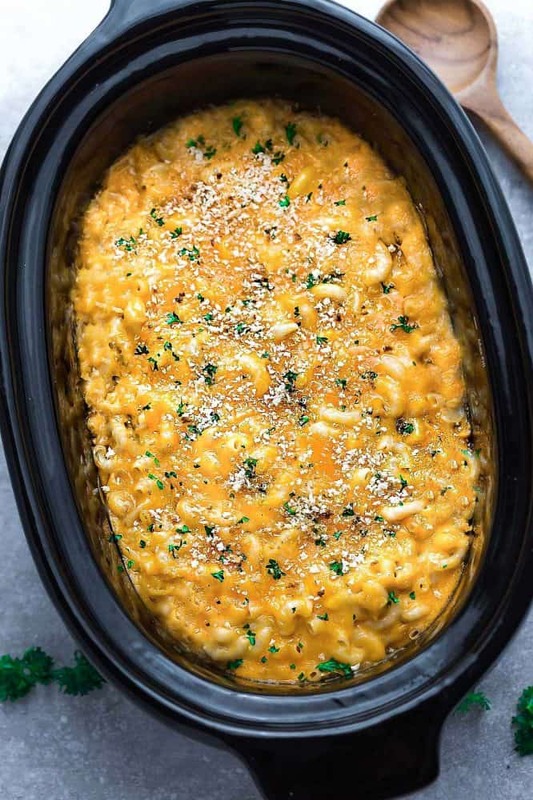 But since fall is all about EASY, this stovetop version and now this crock pot macaroni and cheese (plus an instant pot version coming soon) totally fits the bill. It’s super creamy, comforting and the best part is how easy everything comes together in the crock pot. Since this is a no boil recipe, I love that you don’t have to dirty up an extra pot to cook the pasta. This mac and cheese cooks up super creamy. 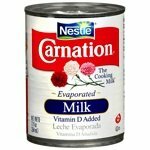 There were so many recipes out there that called for Velveeta, American cheese and condensed cheddar soup. So I seriously ended up testing this recipe more than a dozen times just to get the consistency right. 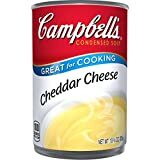 However, if you are NOT a fan of using cheddar cheese soup, feel free to swap it out with another cheese. I can’t guarantee the texture will remain the same though. Or you can even try to make this mac & cheese with a homemade version of condensed cheddar soup if that’s what you prefer. 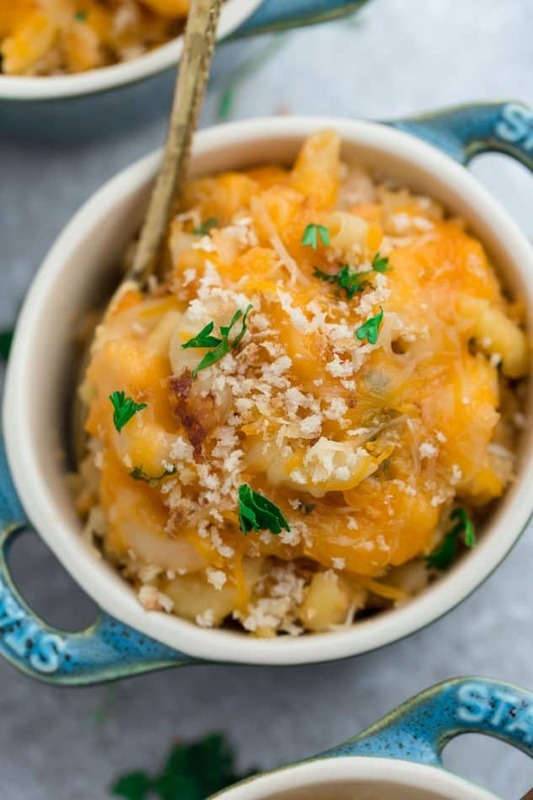 Just melt some cheddar cheese with butter and flour and then add it to the slow cooker. 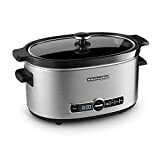 I used this 6 quart slow cooker which I find cooks evenly. No matter which model you use, be sure to keep your eye on this dish and stir often so the pasta cooks evenly. Just for reference, my macaroni and cheese was perfectly al dente around 90 minutes in a 6-quart cooker. 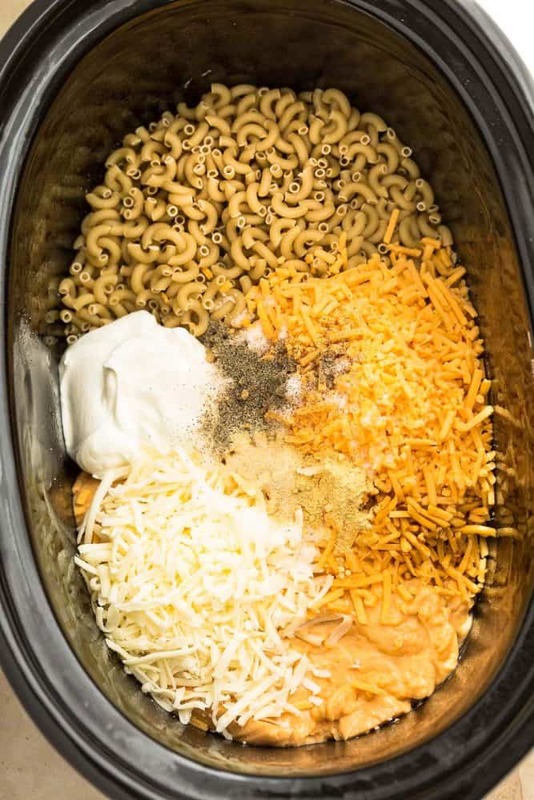 This crock pot macaroni and cheese is perfect for camping, potlucks or those busy days when you don’t want to be tied down in the kitchen.